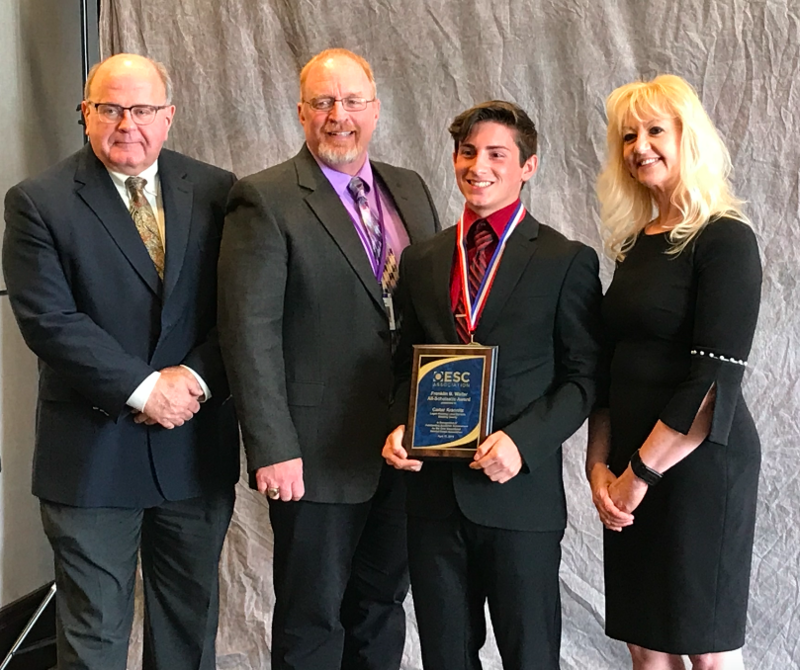 On Thursday, April 11, 2019, the Ohio Educational Service Center Association (OESCA) recognized Ohio's top seniors from each county, during the 30th Annual Franklin B. Walter All-Scholastic Awards Program. The nominees for the Franklin B. Walter All-Scholastic Award are high school seniors who have demonstrated outstanding academic achievement and participation in extracurricular and community activities. The award is named after former Ohio Superintendent of Public Instruction Franklin B Walter. 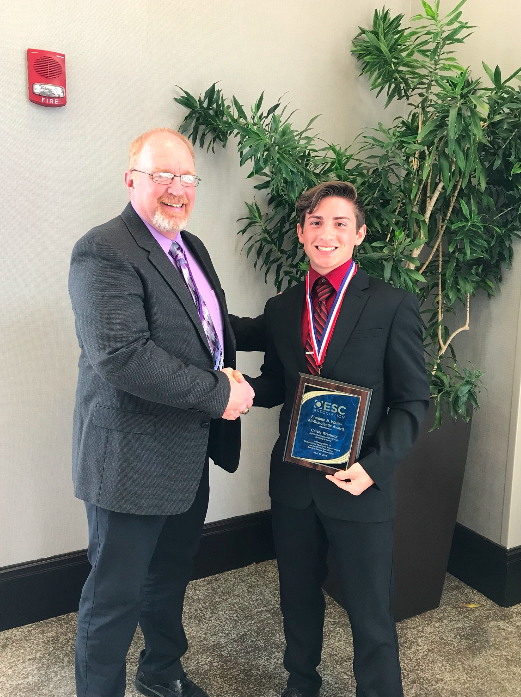 The event recognized LHS Senior, Carter Krannitz, for receiving the Hocking County award, provided by Century National Bank. Thank you to Century National Bank for supporting our students!